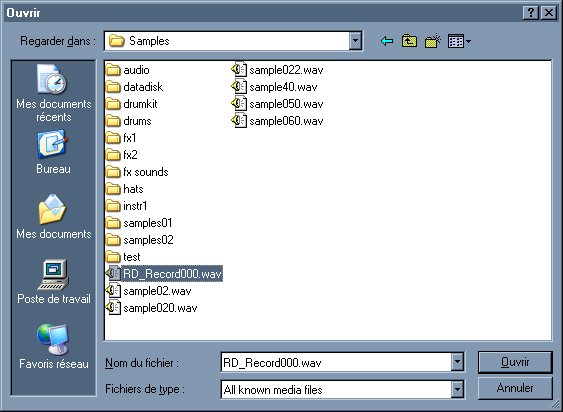 Open a .wav/.iff/.aif/mp3 file, and displays its waveform the main editor view. .wav, .aif, .iff, .au, .snd, .voc, .mp3, .vox, all files, all known media files. If a file can't be opened you can try to use the "import" feature. Wavosaur displays the opening/importing time in the statusbar. New Wavosaur 1.3.0.0 is not dead! Maximum Peak - Minimum Valley? How to let WS use the full window width for a song? How to increase the vol of marked interval by % (NOT by dB)? The Blog is pretty cool! Copyright 2006-2019 Wavosaur. All Rights Reserved.